York is a city whose streets are steeped in history. You may well be familiar with the Viking origins of Whip-Ma-Whop-Ma-Gate and the medieval connections still visible on the beautiful Shambles; but did you know the streets were once home to the beginnings of an empire of chocolate? 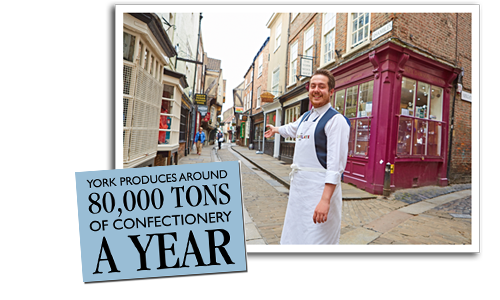 From a hidden ballroom above the Terry’s shop in St Helen’s Square to the ghostly remnants of a chocolate factory that once stood over the Viking treasure of the Coppergate Centre – York’s streets are steeped in chocolate history. 6 million Kit Kats are produced in York every day – over 1 billion every year. Before the iconic Chocolate Orange, Terry’s first created a Chocolate Apple. In the 1920s, Rowntree’s created the Mr York of York, Yorks character, who featured in the first ever animated advertisement with sound. 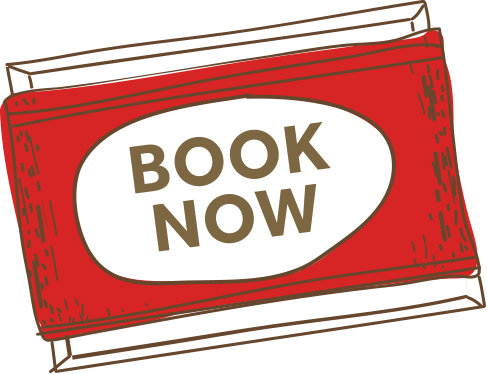 For the Johnny Depp blockbuster Charlie and the Chocolate Factory, York’s Nestle Rowntree factory produced 1000s of chocolate bars. York’s first motor vehicle was the Rowntree van. The firm fixed a giant can of Cocoa Elect to the roof to promote the brand.